A proper young lady should never attend a Masque…Aphrodite is no lady. Betrothal to the callous Lord Blackhall painted a future devoid of love. Upon his death, Lady Caroline Wilmont is promised to the younger brother. Caroline refuses to allow her first taste of desire to be at the hands of a man who would rather have any woman but her. 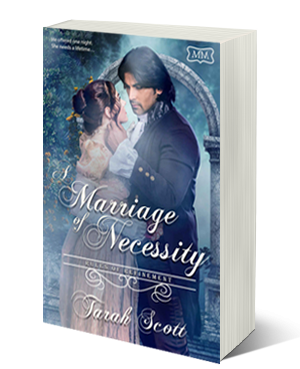 Taran Robertson, Viscount of Blackhall, despises his obligation to marry the Sassenach heiress. As a last foray before his wedding, he attends a masque. However, the spirited vixen he meets and seduces has secrets…secrets that just may reveal he’s to have an improper wife. Lanora cares nothing for love, marriage, dances or gowns. She cares about people and family. When the rakish Lord William courts her, Lenora sets out to discover what dark secrets motivate him. If she doesn’t learn the truth in time, those she loves could suffer a lifetime of hardship. After years of dreaming of her debut, Lilith finally enters into Society. However, Society was not ready for Lady Lilith. After stepping on too many toes, spilling wine on too many bosoms, and insulting everyone, Lilith is ready to retire from Society. Her sister-in-law has other ideas. With a grand ball coming up, Catherine intend to give Lilith another chance to find that elusive handsome gentleman who will sweep her off her feet. But dreams of ballrooms have lost their appeal, particularly after spending time with Harry, the stable-hand, with his rough charm and hard-working ways. Why spin around ballrooms when she could curl up against his strong chest amongst the hay bales? Penniless and jilted, Eliza Plowman accepts a position as governess to Lord Alistair Kennedy’s illegitimate children.Now Eliza faces the most dangerous foe a woman can face: a charming rogue. The danger is not only to her heart, however, but to her life, as well. In an effort to deny her son’s illegitimate children, Alistair’s stepmother insists on a dour governess who will break their rebellious spirits. 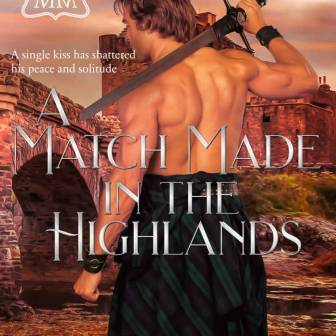 Alistair, however, decides that the pretty lass who shows up in his stepmother’s drawing room will do. If the notion offends his stepmother, all the better. If the lass is what he needs… well, a man can’t ask for more. Bespectacled and plain compared to her two sisters, Martha Stainton cherishes no expectations. After the death of their beloved father, Martha and her two sisters must become dependents of their aunt in London. 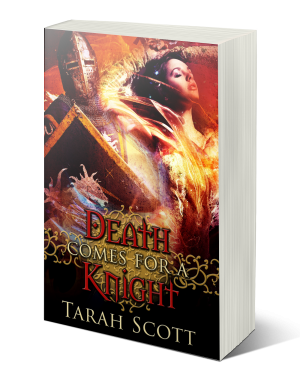 But Martha doesn’t want to leave—or lose her childhood friend, Quinton, now Lord Ashbourne. On the eve of their departure, a death during a dinner party brings Quinton to Martha’s door with a request to put to use her understanding of chemistry. She must analyze samples of the food served to the unfortunate guest, apparently a victim of gastric upset. Martha grants this request. When her investigation reveals that their friendship has turned into something far deeper than a childhood bond, Martha learns that exposing a murderer and leaving behind the man she loves is more difficult than she dreamed possible. A man torn between two worlds. Both need him… neither wants him. Groomed for a life amongst the English aristocracy, Lord Erroll Rushton is unexpectedly thrust back into his father’s Scottish world when the Englishwoman he compromises refuses to marry him. No gentleman breaks into a lady’s bedchamber…but then, no lady sleeps with a pistol under her pillow. Miss Eve Crenshaw will marry for love or won’t marry at all. 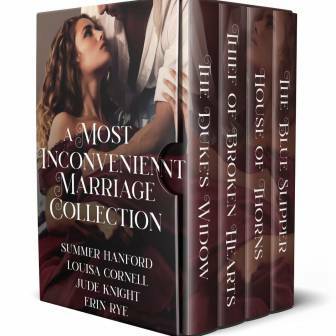 When London’s most notorious rakehell breaks into Eve’s bedroom in the dead of night and compromises her beyond repair, she plans a daring elopement that shocks even the earl.